As I mentioned in my last post about shooting new images of people in the landscape here is an image I shot a couple of weeks ago and finished retouching this week. The image here shows Ryan White who’s a talented young cyclist and member of Somerset based “1St Chard Wheelers” cycling club. Ryan has gained much success in his chosen sport including coming 4th in the National under 12’s Road Race Championships and is currently 3rd in the national rankings which is very impressive seeing he’s only 13 ! 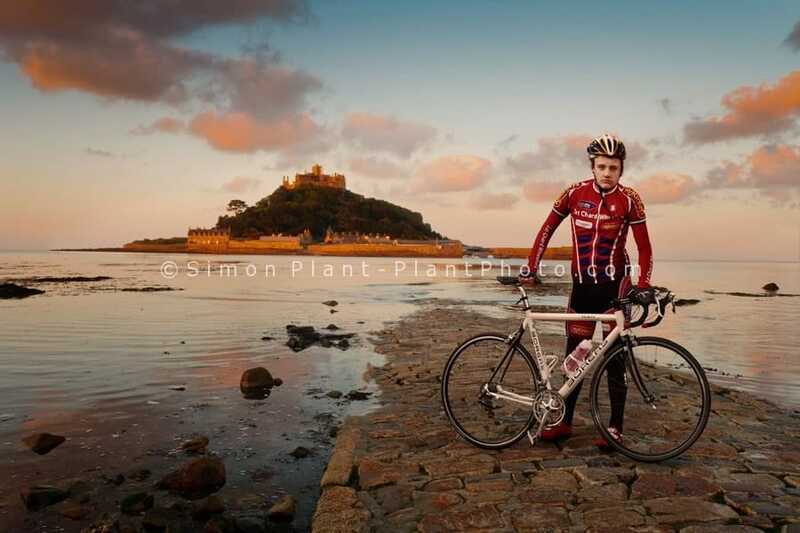 In terms of the photography as always I wanted to show my subject within the landscape rather than shooting just a formal portrait.The background plate is of St Michaels Mount in Cornwall which I captured on a beautiful spring dawn several years ago. The shoot was completed in around 30 minutes which I captured images of not only Ryan but his cycling partner dad David too. Retouching the image was also pretty swift & straight forward taking me about 6 hrs to complete to the the high standards I require. A new year brings a time to look at your work/life and where you want to be heading.However It was in fact last June while while in Turkey that I decided it was time to start shooting more people/life images. I’d found myself shooting very little life based images over the last couple of years and capturing the landscape alone was no logger challenging me enough and I was getting creatively a little stale.I also needed to produce a new book (Portfolio) for the coming year so new work was needed. I started my Professional career shooting lifestyle images of models for Clarks Shoes so shooting people whether models,celebrities or cornish fishermen (that’s another blog post !) 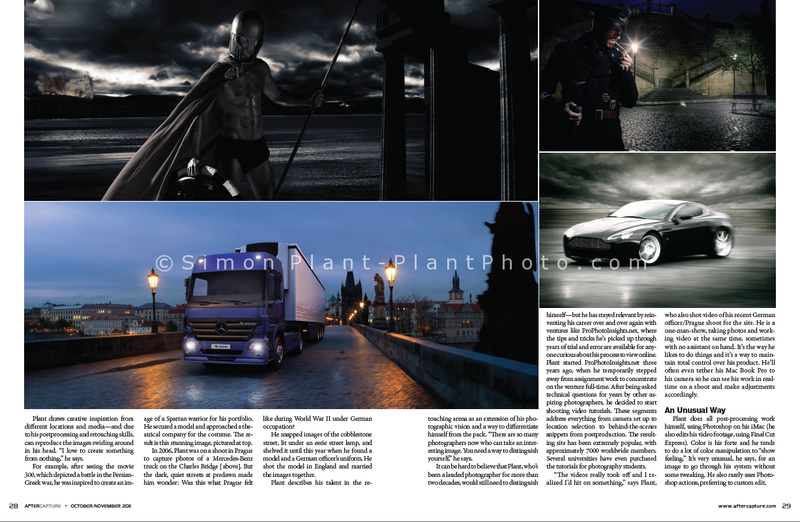 have always featured in my body of work somewhere and something I enjoyed and felt very comfortable doing. So last week I started to make calls to various people in the South West from semi pro cyclists to fossil hunters and introducing myself and my work and simply asking if I may photograph them.So far he response has been very good and images from my recently completed shoots will be posted here shortly. In the meantime here is an image that I have just completed to add to my personal project “Life In A Somerset Landscape” The project features animals in well known Somerset Landscapes and has challenged me both as photographer and retoucher with this particular image taking approx 4 days to complete in post production alone. The Fox was photographed at Secret World Wildlife Rescue near where I grew up in West Huntspill Somerset. The lovely people at Secret World where very helpful and kindly allowed me to get up close and personal with their rescued foxes and I got some great images despite falling up to my knee in a hole full of ditch water ! For the techies the layered photoshop image was a bit of a monster at well over 1 Gb in size and consisted of 30 layers which is not uncommon for some of my images. The location in the image is Burrow Mump located on the Somerset Levels and the image is as yet unnamed so if you can think of a great title I’d love you to post your idea in the comments below. This location is a mere 10 min walk from the centre of my village where I live but it’s also one of my most memorable shoots. The location RAF Merryfield which is an old airfield used by the Royal Airforce and United States Army Airforce during WW2 and now used to train helicopter pilots. The reason this shoot was so memorable was the weather and light that evening where simply stunning and probably the best I have ever experienced in my 23 + years of shooting. We where in the middle of a week of very heavy snow and ice and as the sun set in the clear crisp sky I watched as a very eerie bank of icy cold fog slowly rolled across the airfield towards me.I found myself transfixed on this amazing sight as it was illuminated backlit by the wonderful colours in the afterglow of the sunset. I continued shooting until the light was completely gone knowing full well it might be a long time before I experience such a stunning display again. The Ice Barn is an image I captured during a period of very harsh snow and ice last year. 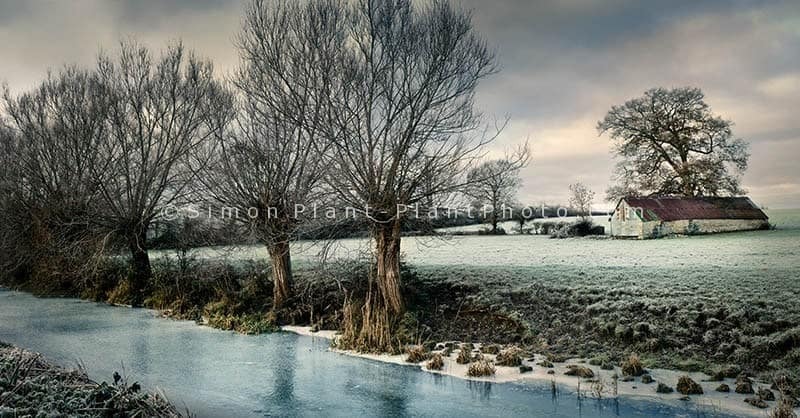 The frozen water is the old and unused Westport Canal nr Hambridge Somerset. I live fairly close to the coast and often visit with the family to allow the kids to run off some steam especially in winter. With a rare quiet and dry Saturday we decided to head for Lyme Regis for a couple of hours to get rid of the lethargic Christmas feeling. I took my camera to take some snaps of the kids not planning on anything too serious but the light changed as dusk approached and I could not help looking at the scenes from the beach with my Photographers hat on despite having no tripod or other gadgets that I might normally call upon. For this image the sun was setting behind me and the moon in front which is often the time I day I love to shoot “The Edge Of Darkness” as I like to call it. I happily kept shooting and enjoying the light in between playing football and supplying my son with some remarkable crosses (yeah still got it !). 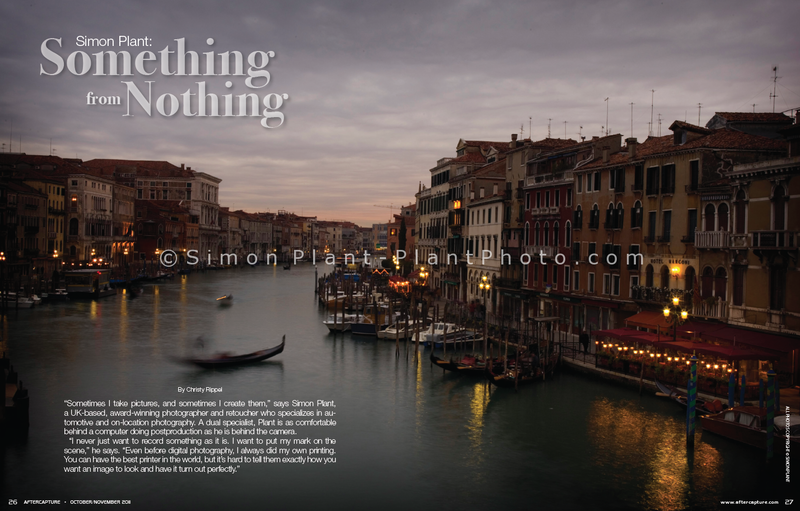 An interesting article on HDR photography that I was interviewed for has just been published. Not many pictures I capture escape through my workflow without entering Photoshop for some (quite often extensive) post production work.I have always manipulated my work even before Digital Imaging became available I would spend a week at a time in the darkroom manipulating cibachrome prints. Having said all that I never retouch an image for the sake of it but I do see it as a natural extension to my photographic vision same as was years ago in the darkroom. The image shown here is one (of several) I captured from a recent trip to Menorca Spain which had very little retouching applied to it. On this particular image all that was required was to adjust tone and a few tricks to bring out some of the wonderful but hidden colours that where evident in the rocks. As I have mentioned before on this blog Im passionate about football (see my Passion & Desire Post) and although I still occasionally play a little (or try) most my fix now comes from watching my 8 yr old son or my local team Yeovil Town play. My son trains once a week at the Yeovil Town Community Trust Development Centre and I occasionally help out by providing photography to aid promotion of the great work that the trust does in the community. Last week I spent a day at the club prior to the teams local derby with Exeter City F.C to document the trusts Match Day Experience. Most my work is normally slow paced and highly planned which was the opposite of this day’s work but none the less enjoyable as it combined my two passions of photography and football. The match ended as a 2-2 draw with a good crowd providing a great atmosphere. A few months ago I was interviewed by American Magazine After Capture which is part of the well respected Rangefinder Magazine family. A unique way to Exhibit your Photography Project ! 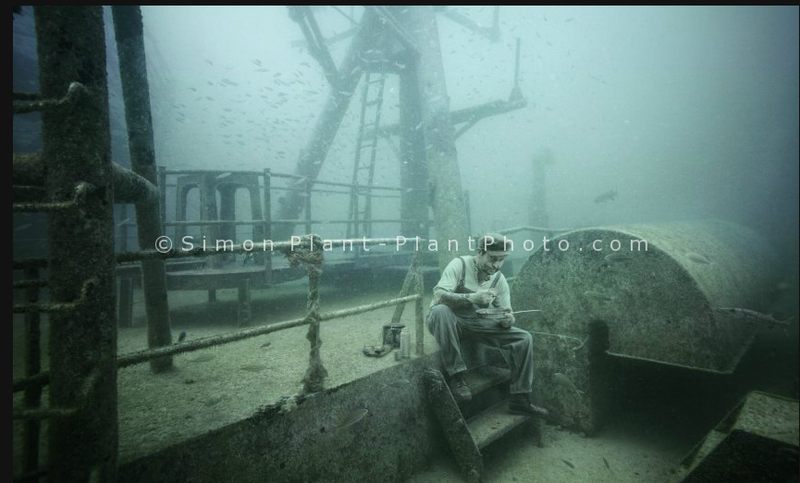 One Year after Andreas Frankes visit to the Vandenberg his images of the wreck were filled with charming stories and now it is high time to exhibit them. No better place as the place where the project began. Since August 4th 2011 divers can benefit from a very special experience and find a package of 12 images placed on the hulk of the artificial reef General Hoyt S. Vandenberg located 100 feet below sealevel and approximately seven miles south of Key West.